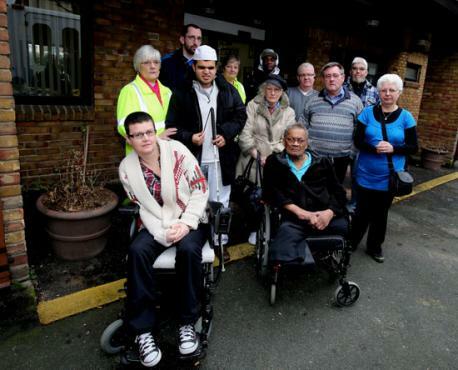 Councils are facing unprecedented financial pressures as well as rising demand for services. In this difficult context, it’s more important than ever to promote innovative examples of local services that make a demonstrable difference to the lives of disabled people and their families. Innovation in services requires resources, time and investment, and so there is a real risk, therefore, that important and valuable innovations will be undermined or marginalised by cuts and austerity. Supported by Scope, the UK disability charity, we are looking to champion examples of innovative services developed by local authorities, their providers and partners. Scope’s vision of social change envisages a society where disabled people can take advantage of opportunities to fulfil their life ambitions. This research will identify examples of local innovations that deliver real social change. We’re interested in services in any area – care and support, children’s services, housing, education, skills development and training, transport, and community safety and cohesion – anything that helps disabled people enjoy the same opportunities to fulfil their life ambitions as everyone else. The best examples of innovation will be included in a major report to be published in autumn 2012. Our view of innovation is radically new ways of promoting opportunities, equality and justice for disabled people. The innovations that matter most deliver social change that improve people’s lives, not (just) deliver cost-savings or innovation for innovation’s sake. The very best innovations enhance disabled people’s ability to participate in and most of all lead social change. make local communities and society more inclusive for disabled people.